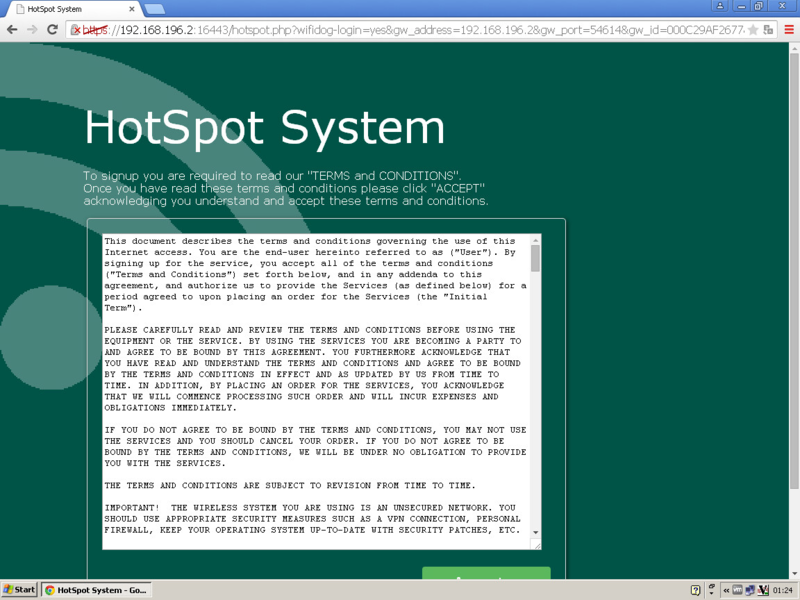 The rule behavior define how the HotSpot authenticate guests and processes to access trough Internet. You can only use it if your HotSpot system is connected to a Meta server. If enabled, all created accounts informations will be sent to the Meta server for an unlimited time. If enabled, and if you have enabled the self-register feature, guest can retrieve their password. When session is off and if user request to an SSL web page, the HotSpot is not able to get guest computer information. 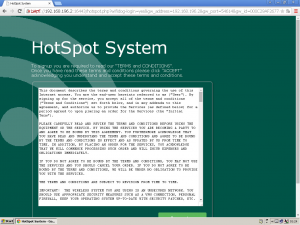 In this case, the HotSpot need to perform a redirection to an HTTP (not https) URI to recover the session. If guest account reach this lost landing page, this will be the redirected final URL after a success login if no landing page has been specified. By default, after login to the HotSpot, members can surf for an unlimited time. This option if defined force guests to reconnect to the HotSpot each X minutes. If set then the session will be deleted if the downloaded size of the total session exceed a value in MB. By Default, created account are stored into the system for an unlimited time. If set, the account will be totally removed from the database and the guest account have to register to the system. If enabled, there are no authentication ( no password needed). guest account have just to enter any user name on the system to access to Internet. If enabled, the system will use Members created in the HotSpot section. If enable, the HotSpot system will use the Active directory servers listed on the Active Directory section. 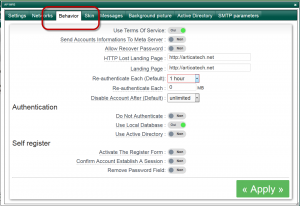 You need to enable the SMTP parameters in the rule. If enabled, users can be register their eMail address trough the HotSpot in order to access to Internet. By default, the self-register method create an account to the system and guest have to use the created user and password to be authenticated by the system. 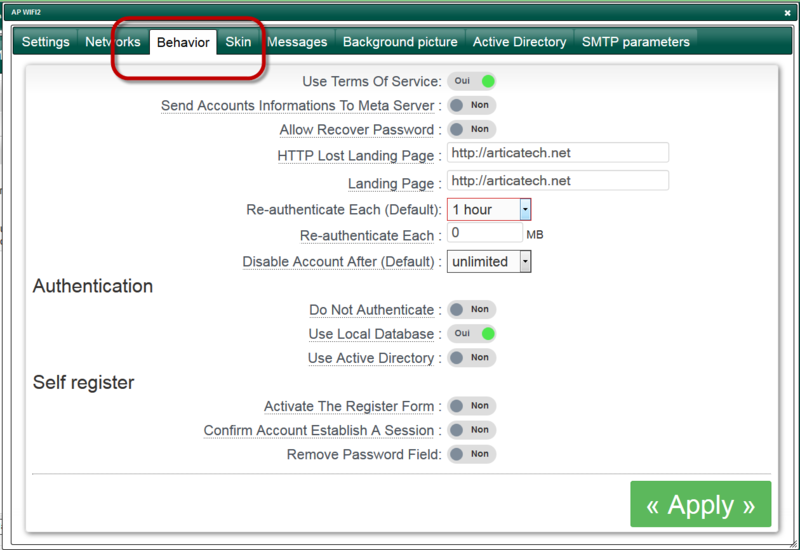 If enabled, when the session is closed, users have to register again trough the self-register method. When using the self-register method, it is true that the user need a Mailbox and a password mailbox to get the email sent by the HotSpot. Ask a new password for the HotSpot account should not necessary according this method. Enable the option will remove the password field in forms.